Vedic Solutions for Every issue, Every Person, Everywhere! We want to give you and all of our members many free and trial services which are normally available for a fee. By verifying your mobile number, we are able to confirm you are an individual! You will receive Free Products/Services from AstroVed such as the one listed below - Your First Free Service! We do not sms you with Spam nor do we share or sale your mobile number. We respect your privacy and confidentiality. Verifying your mobile number will also help in tracking your orders, services or for sending SMS, notifications etc. Moreover, you will also be eligible to have access to numerous free astrological reports apart from predictions like Daily, Monthly and Yearly. Subscribing to our mailers will provide information on upcoming major planetary transits and astrologically important festivals and events that will have an impact on your life. Our goal is to take the guess work out of Astrological remedies and give you easy access to the solutions to your life's problems. 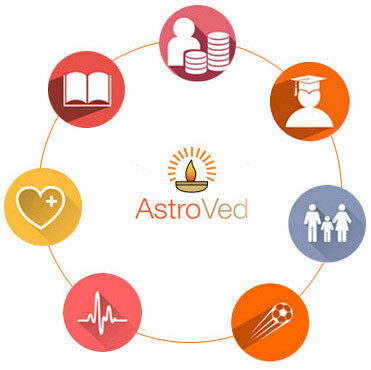 Registered Member: If you are already a member of AstroVed, to connect your OpenID with AstroVed just visit My Account section and connect with your OpenID.